Manage to spot the different on my previous post: Imported Scanned data? The answer is here. the main different is an additional list of scanned data file extension, which include mesh files (*.nzip, *.nxm, *.scn, *.3ds, *.obj) and PointCould files (*.xyz, *.txt, *.asc, *.vda, *.igs). 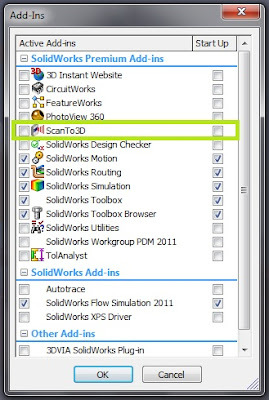 You just need to turn on ScanTo3D add-ins (tools>add-ins) in SolidWorks Premium. 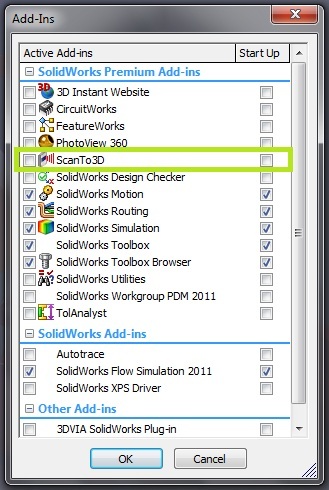 With this feature, you can utilize the scanned data for remodeling or reference.